Craft Farms (www.craftfarms.com) is a 36-hole facility. Both courses - Cypress Bend and Cotton Creek - were designed by the King, Arnold Palmer, who built the course to challenge golfers rather than intimidate them. I found that Cotton Creek provided a fitting challenge from the white tees. One of the most memorable holes was the par 5, 7th, a 453-yard risk/reward hole from the white tees, that winds around a lake. Hit a good tee shot down the right side and you'll have a decision to make. There's not much room for error if you decide to go for it in two, so choose wisely. Cotton Creek was both fun and challenging. Kiva Dunes (www.kivadunes.com) is a challenge regardless of the tees you choose. The greens were redone just a few months ago, so they don't hold approach shots as well as they should - or will. 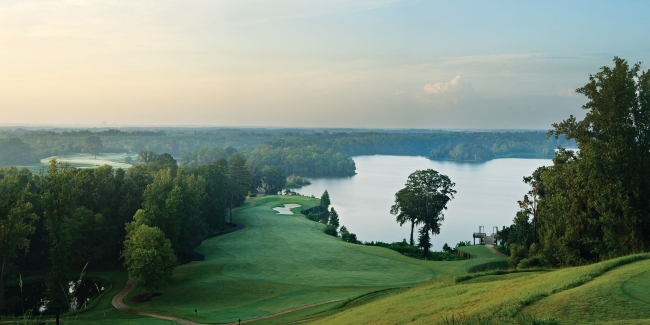 This Jerry Pate masterpiece has won all sorts of accolades and is considered one of the state's best tracks. I have not so fond memories of Number 17, a 175-yard par 3 over water to an elevated green where the left side of the green can be measured with a yardstick above the right side. It requires pinpoint accuracy to land the ball on the same level as the hole with a left pin placement. Kiva Dunes will make you work for every good number you write on your scorecard. 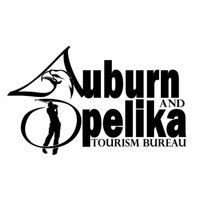 They offer vacation rentals as well as great golf and with several other great golf courses in the area, why not plan a mancation? Next was a quick trip to The Peninsula Golf and Racquet Club (www.peninsulagolfclub.com). This 27-hole layout was designed by Earl Stone and has something to offer every level of player. The course is set alongside Mobile Bay and winds its way through strands of live oaks and other indigenous Gulf Shores vegetation. The fairways are finely manicured and the course boasts what I thought were the best greens in the area. If you're just visiting on vacation, then the Peninsula Club is a must play; if you're making the Gulf Shores area your home; it's a must join. You get a top-end golf course, unrivaled tennis facilities and a private beach all in one, as well as everything else you'd expect in a private club. We bid farewell to the Gulf Shores area and headed to Dothan, AL (www.www.dothan.org) and Highland Oaks (www.rtjgolf.com/highlandoaks), which is part of the Robert Trent Jones Golf Trail. Highland Oaks offers 27-holes of championship golf as well as a 9-hole short course. The Highlands 9 is the marquee course and winds its way around several lakes. Two holes that I have memories of - one more favorable than the other - are Number 3, a risk/reward par 4 that requires you to cross the water twice and Number 4, a par-3 hole with a peninsular green that plays 225 yards from the 2nd set of tees. It does play downhill, which offers you a little comfort although par is still a good score. The next morning, we headed to Capitol Hill (www.rtjgolf.com/capitolhill) in Prattville, AL (www.prattvilleal.gov. Capitol Hill is one of the most popular complexes on the Trail and Golf Magazine has dubbed The Judge course one of the 10 Public Courses in America worthy of hosting the U.S. Open. The second notable course at Capitol Hill is The Senator, host of the 2016 Yokohama LPGA Classic. The Senator is more of a Scottish-Links style course, and dodging the 160 pot-hole bunkers is a challenge itself and should be rewarded (but isn't. Mounding of over 40 feet on some holes creates secluded settings and the Champion greens are meticulously maintained and putt true. Most memorable was the 15th hole; a downhill tee shot followed by an uphill approach to an elevated green protected by 3 nasty pot bunkers. No matter how good (or bad) you are, The Senator provides a challenge for all who play.